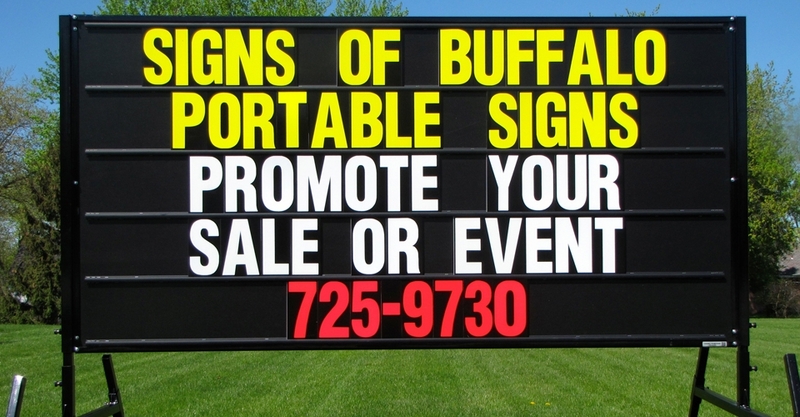 **Why are Signs of Buffalo portable signs the best? 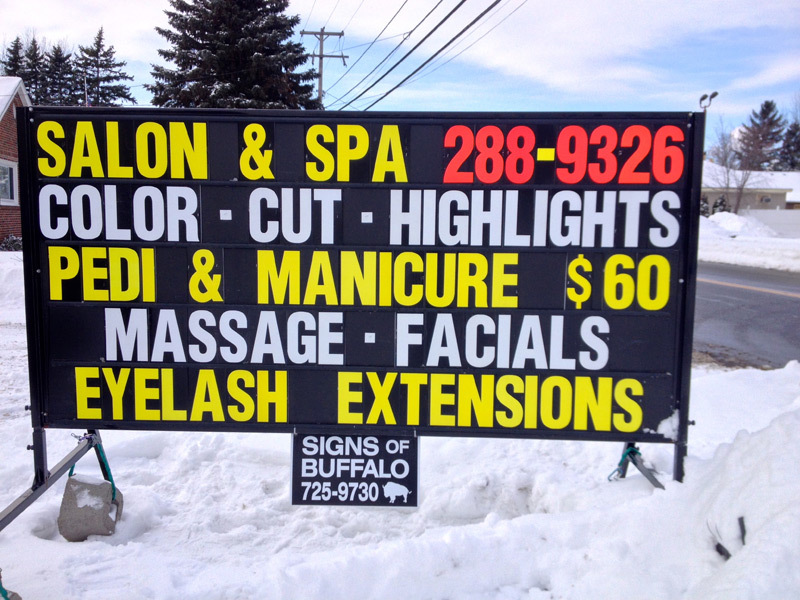 More Text – Our signs hold 5 lines of text vs. other’s 4 lines of text. 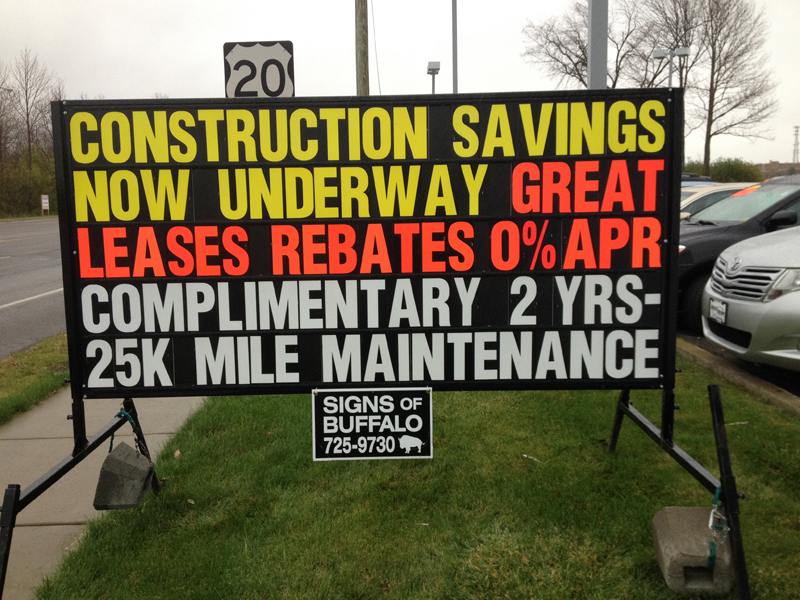 Signs of Buffalo signs can hold 56% more text. Click here to see the difference! Color Stability – Our letters are printed using an exclusive printing process that results in superior color stability. 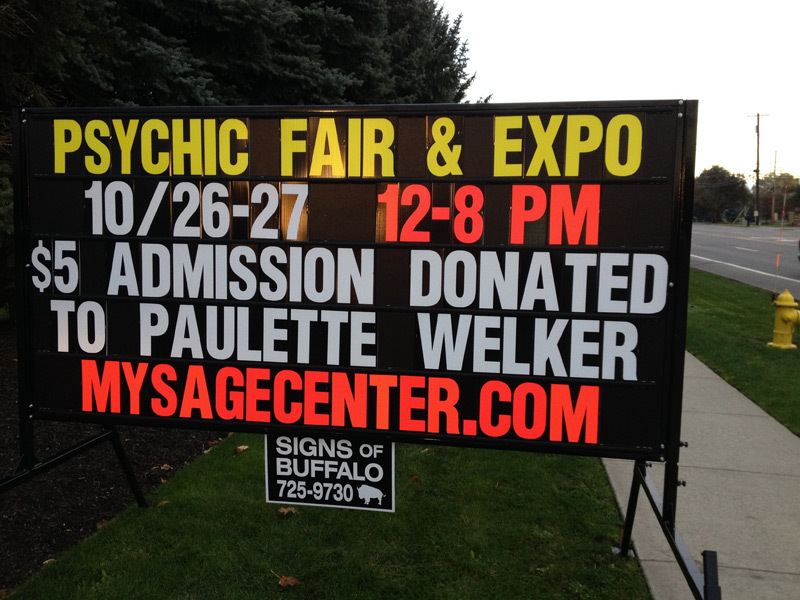 Our letters retain their color vs. others whose colors fade resulting in unprofessional looking signs. Powder Coated – Our signs are powder coated vs. other’s conventional painted signs. 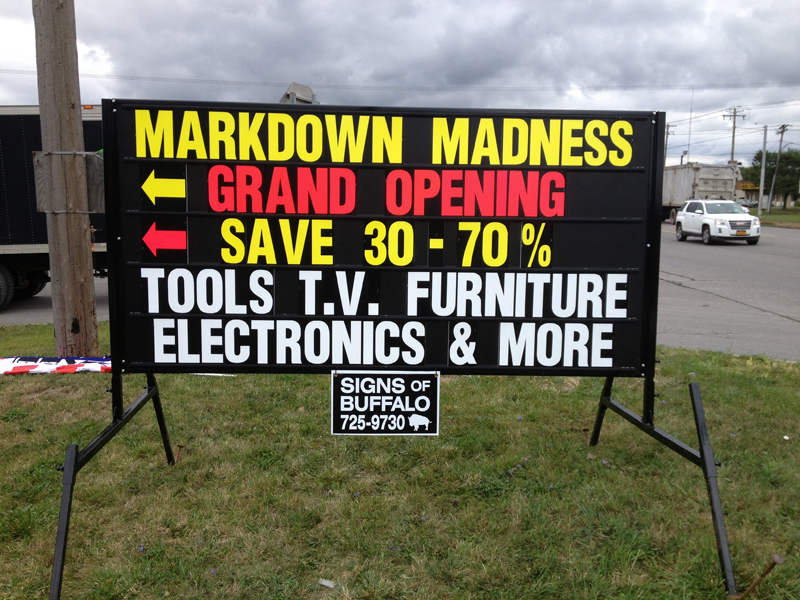 Our signs retain a quality finish vs. others whose signs are rusted and peeling. Set-Up – Upon set-up our signs are leveled, letters are centered, and letters are the same size, font, and color. 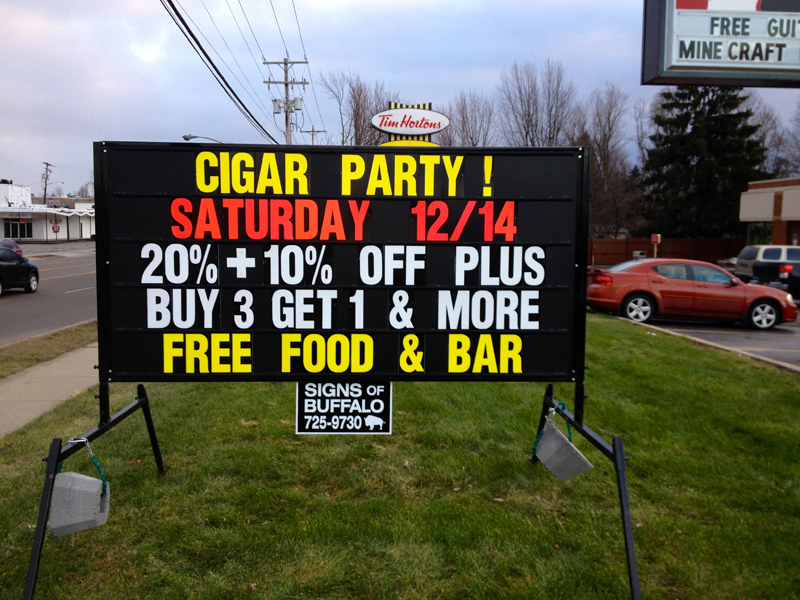 Our signs are free of rust or peeling paint. 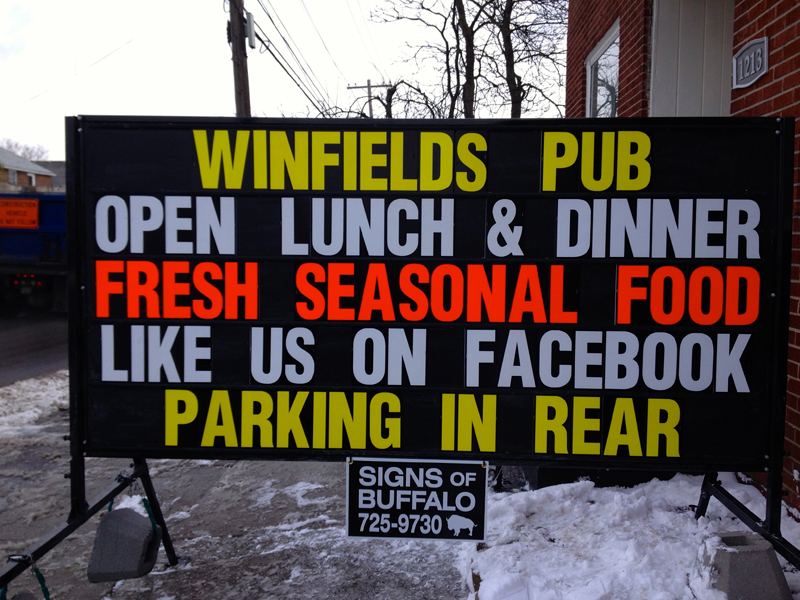 Others simply do not take the care to set-up a professional looking sign. No Damage – When setting up your sign we use a wide tire dolly to move your sign into place. We never drive on your grass or drag our sign across your blacktop and grass like others do. We treat your property as our own and will not damage your blacktop and grass. 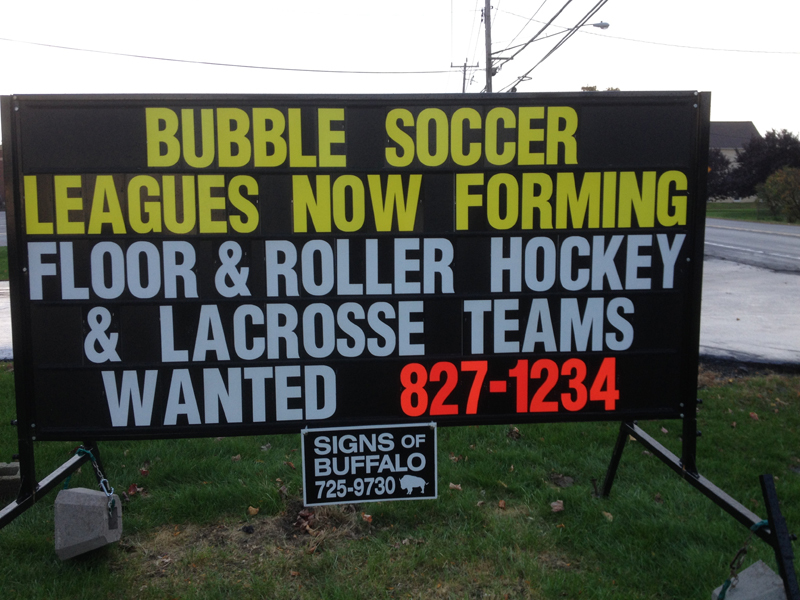 Call us 7 days a week at (716) 725-9730. We’re here to help promote your message. 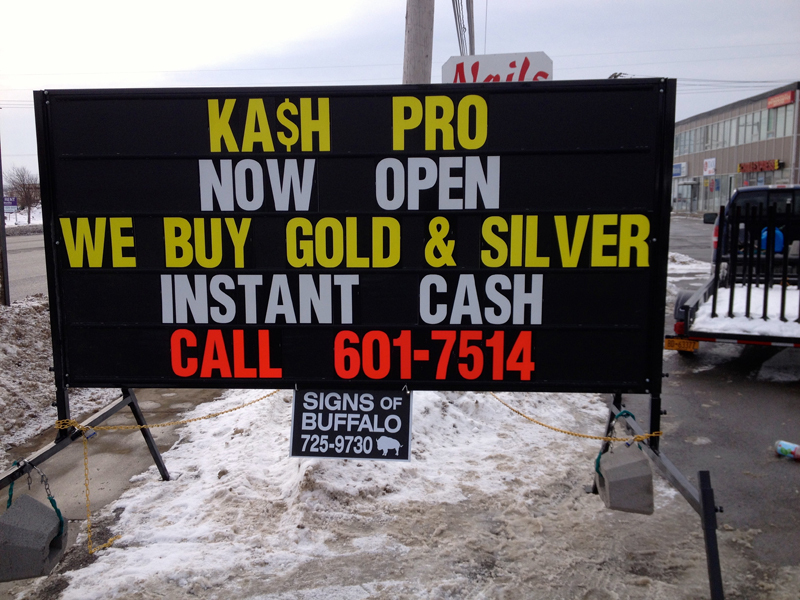 If you are not 100% satisfied with the quality of our sign you are under no obligation to us. 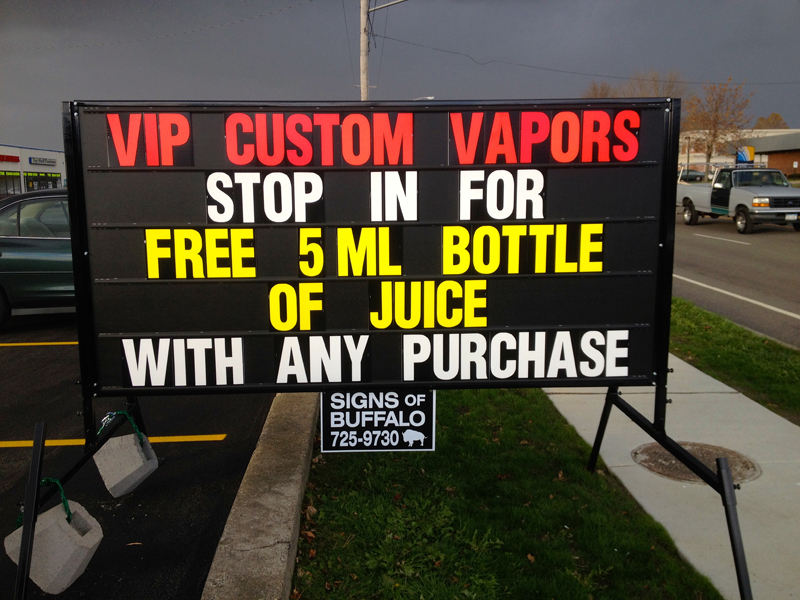 We guarantee a professional sign! 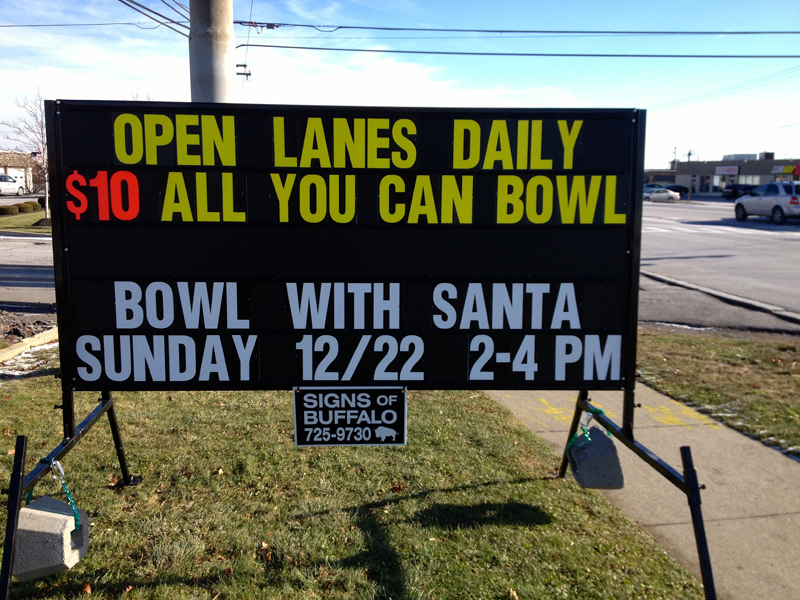 So if you are in need of a quality sign rental in the Buffalo, New York area, Signs of Buffalo is the sign company for you. 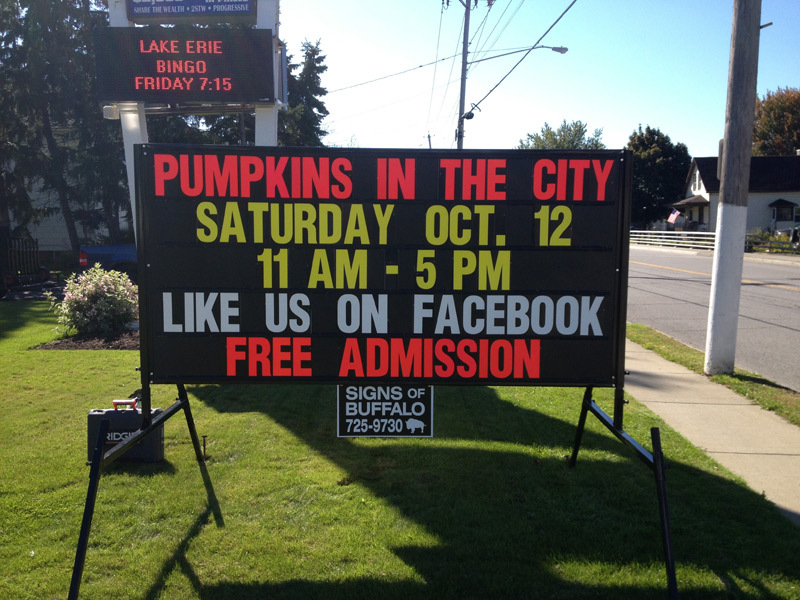 Check out the photos of our roadside signs and you’ll see why we place only the highest quality signs in Western New York.